See below some previous items from 2011, originally featured on the homepage. Please bear in mind that some of these items might have been overtaken by events. Hedge planters at work - we don't envy them in this weather! 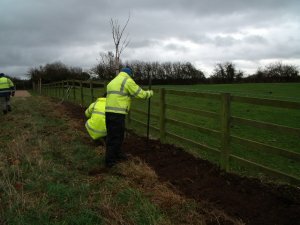 A new hawtorn hedge has been planted along the south side of the field next to Wysall Lane Burial Ground, along with replacements for a number of dead trees. The work has been partially funded by a Rushcliffe Borough Council Biodiversity Management Grant. There's not much time left if you want to enter for the 2012 Keyworth Quiz. Click here for the further details. 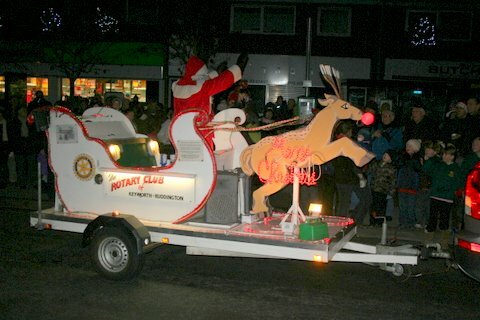 As usual, lots of people turned out on the evening of Friday, 2nd December to celebrate Keyworth's Christmas lights which are once again brightening up the village. Fortunately, the weather was dry, and there were mince pies, mulled wine and hot soup to take the edge off the chill night air. There were also charity stalls, and carol singing (courtesy of Willow Brook Primary School choir) and, of course, the evening would not have been complete without a visit from Santa. Many thanks to everyone who participated. There are fifty-five trees/sets of lights at various locations around the village, and our thanks also go out to the local businesses which have agreed to make a contribution towards costs. Well done, Zak Towers, aged ten, whose artwork is featured on the Council's 2011 Christmas card. Keyworth Primary & Nursery School (where Zak is a pupil), Crossdale Drive Primary School, Willow Brook Primary School and Crossdale Busy Bees each submitted six very commendable entries for consideration; it was no easy task for the judges to narrow twenty-four (all of which will be on display at Keyworth Library in December) down to one, and all of the young artists concerned deserve a pat on the back, and our thanks for their efforts. Elaine Fletcher and Brian Watts completed formalities to become Parish Councillors at the Council meeting on 28th November, the decision having been made to co-opt them at the meeting in September. Due to unforeseen circumstances, a third prospective new member, John Dye, was unable to accept the offer of a place on the Council as expected. Elaine looks on as Brian completes formalities. We were very sorry to hear that Mick White had passed away earlier this week. Mick, as many readers will know, worked for the Parish Council as groundsman for more than thirty years until his recent retirement, and was responsible, among other things, for the maintenance of Wysall Lane Burial Ground and various sports facilities around Elm Avenue, including the bowling green and the cricket square. He was very much the unsung hero: hard working, extremely conscientious, one hundred per cent reliable; someone who took great pride in his work, and who, above all else, was a very nice person. Our thoughts are with Mike's wife, Jenny, and his family at this very sad time. PC Rob Inglis, who has served as Keyworth's beat officer in recent times, retired in October, and we are sure that many residents would want to join us in thanking him for his contribution, and wishing him well for the future, while welcoming Rob's replacement, PC Howard Shinn. Click here for further details regarding Howard and his team. At its meeting on 22nd September, the Parish Council co-opted three new members to fill vacancies which have been outstanding since the uncontested election in May. The three new Councillors are John Dye, Elaine Fletcher and Brian Watts, and they have been co-opted with effect from 28th November, the date of the next Full Council meeting. 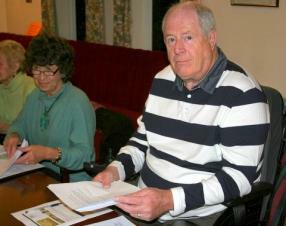 Click here for information about John, Elaine, Brian and other Parish Councillors. The Nottingham Road/Main Street telephone kiosk, no longer in service, but purchased for a nominal fee by the Parish Council recently, has been re-painted. The kiosk was used for floral displays during the summer months, and the Parish Council's Amenities advisory committee has plans to fit brackets and shelving, so that it will be a much more suitable receptacle for such displays in future years. It would appear that initial proposals from the Boundary Commission (part of a review of constituency boundaries) would result in Rushcliffe ceasing to exist as a parliamentary constituency, and a new Coalville & Keyworth constituency being created. A consultation is underway. Click here for further details from the Boundary Commission website, or here to have your say. Maps and documents can also be viewed at Keyworth Library and Keyworth Police Station/Contact Point. The appeal by Tesco Stores Limited against Rushcliffe Borough Council's refusal to grant outline planning permission for a store on Selby Lane has been dismissed. For more details, click here and here. It would appear that youngsters have been stripping the bark from trees on the Rectory field, and what they might not realise is that this could do irreparable damage or perhaps even kill the trees. It would be much appreciated if parents could make their children aware of the harm which can be done, albeit unintentionally. Nottinghamshire Police Authority is considering proposals which include relocating Keyworth's Safer Neighbourhood Team (the local constable plus two community support officers) to West Bridgford, and closure of the Keyworth police station/contact point. No decisions have yet been taken and, before it approves these plans, the Police Authority is keen to find out what local people feel about them. Click here for further details, and to to access the Online survey. Alternatively, pick up a survey form from the Parish Council office. The Annual Parish Service, arranged by the Parish Council, took place on Sunday, 17th July at Keyworth Methodist Church, and some forty-five people attended. The collection raised £100 which was donated to Rushcliffe Play Forum & Resource Centre. Thanks to all concerned. 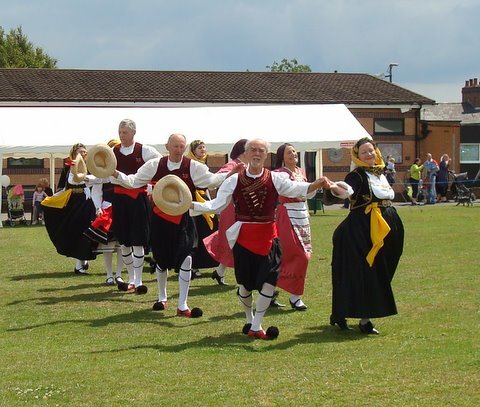 We are sure that everyone who attended this year's Keyworth Show on 9th July would like to join the Parish Council in thanking the organisers for all their hard work. Fortunately, the weather wasn't too unkind, and the show was a great success. Congratulations to all concerned. 300 runners and 500 walkers required for this one-off charity event on 16th October. Parish priority registration now open. 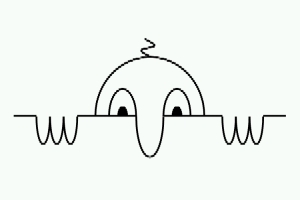 A Fresh Approach to Housing Growth � Nothing is Yet Decided! 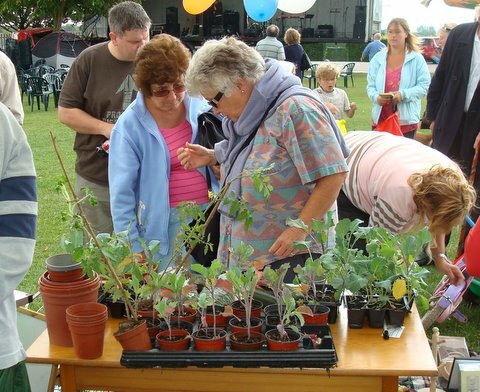 There is a Community Consultation event on Saturday 9th July between 11am and 4pm at Keyworth Show. 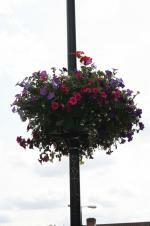 As in previous years, the Parish Council has arranged for hanging baskets to brighten up the village during the summer months, and thanks are due to the various businesses which have made a contribution towards the cost. There are eighty baskets in total at various locations around Keyworth, and these will be kept watered throughout June, July and August. Let's hope that we have lots of sunny weather to make the summer scene complete. Click here for details of County Council/City Council consultation. 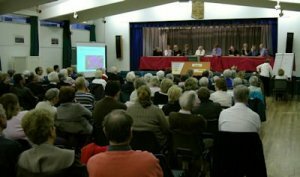 At the meeting on 16th May, Daphne Butler was co-opted to fill one of the vacancies on the Parish Council following the uncontested election. Daphne will be well known to many readers, having previously served as both a Parish and Borough Councillor, until May 2007, and, since then, she has been a co-opted member of the Parish Council's Amenities advisory committee, on which she will continue to serve in addition to being a member of the Burial Ground advisory committee. Click here to see online survey being conducted by Notts County Council. At the Annual Parish Council meeting on 16th May, Cllrs Tony Grice and Liz Chmara were re-elected as Council chairman and vice-chairman respectively. Also, a number of changes were made with regard to membership of committees and the Council's representatives on local organisations – click here for details of who's who, and who'll be doing what in future. XHTML 1.0 validated. WCAG compliant. Page generated in 0.1254 seconds.